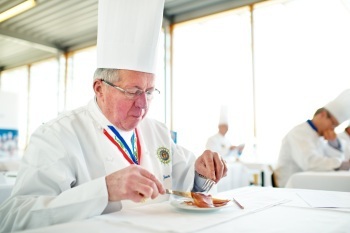 Our Macal 9-month cured ham was acknowledged with the Superior Taste Award. The Superior Taste Award is the only quality seal in flavour granted by opinion leaders, Michelin awarded Chefs and Sommeliers. 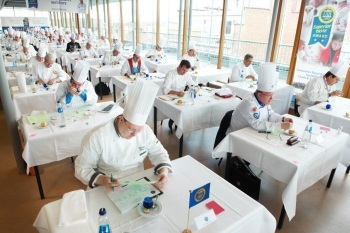 The jury at the iTQi is composed by members from 13 different countries who work in the most prestigious culinary institutions in Europe, such as the Académie Culinaire de France, the Federazione Italiana Cuochi, the Associação de Cozinheiros Profissionais from Portugal, the Jeunes Restaurateurs d’Europe, the Associacion de Cocineros de España, the Verband der Köche Deutschlands, as well as the Association de la Sommellerie Internationale (ASI) for drinks. To attribute the scores, each product is submitted to a blind tasting and a rigorous sensorial analysis process. All the members of the jury receive a sample of the product at the same time and are informed about the category to which the product belongs. This is the only additional information provided, nothing is mentioned regarding the origin of the product, and it isn’t allowed for them to see the products’ packaging, in order to guarantee an evaluation strictly based on the palate and sensorial elements. 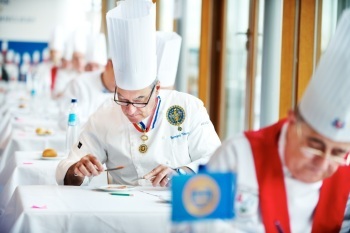 The jury receives instructions to evaluate the products as if in a familiar context, instead of judging them as products to be served in their sophisticated restaurants. Each product is submitted to an analysis in which criteria such as first impression, visual aspect, aroma, texture, residual flavour, etc. are taken into account by each member of the jury. They also write their comments and proposals on further improvement of the product if applicable.